Canadian astronaut David Saint-Jacques has completed his first ever spacewalk — the first for a Canadian Space Agency (CSA) astronaut in 12 years. And it’s safe to say his experience was — wait for it — out of this world. 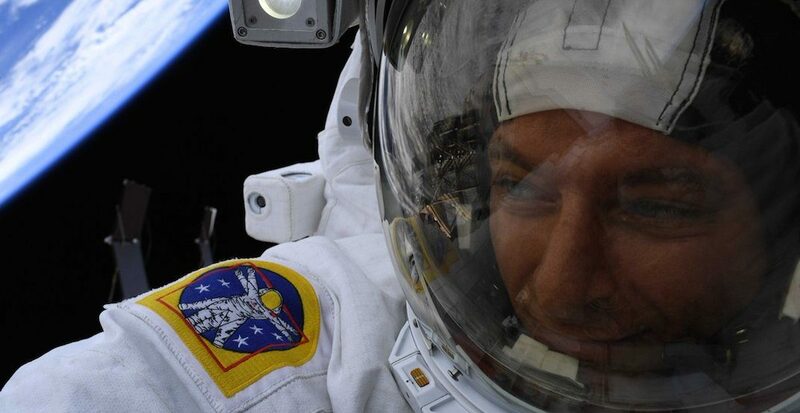 Saint-Jacques, along with NASA astronaut Anne McClain, successfully completed a six-and-a-half-hour spacewalk on the exterior of the International Space Station on Monday, April 8. Together, the two astronauts relocated a battery adapter plate and connected electrical cables, establishing an alternate path of power to the Station’s robotic arm, Canadarm2, according to the Government of Canada. After gearing up in their spacesuits, Saint-Jacques and McClain ventured outside the airlock at 7:31 am ET as the Station passed over the South Pacific. They concluded their spacewalk and returned inside the orbiting laboratory at 2 pm ET, marking the 216th spacewalk in the history of the International Space Station. But while Saint-Jacques was completing his work, he took the time to snap a few selfies with Earth glowing in the background. A photo posted to Twitter by the Canadian astronaut shows off the sheer size of our planet, as it glows beautifully behind him. “What a view. Words are missing,” he wrote. In December, Saint-Jacques became the ninth CSA astronaut to be launched into space and the first since Chris Hadfield in 2013. Furthermore, prior to Saint-Jacques, the last CSA astronaut to participate in a spacewalk was Dave Williams on August 18, 2007, during Mission STS-118.